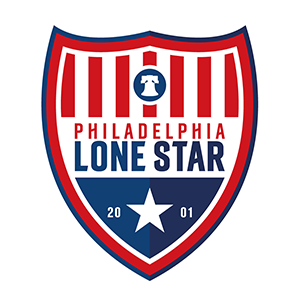 Match Report: JLSFC-Liberia Suffered First Loss to Samira FC 0-1 | Philadelphia Lone Star F.C. MONROVIA, Liberia – A penalty save from goalkeeper Samson Joe wasn’t enough as the Stars in Liberia suffered their first loss of the season to Samira FC 0-1 at the TUSA Field. Both teams went into this match unbeaten: JLSFC-Liberia had a win and a draw from two matches while Samira FC were looking to maintain their 100% record of the season. Samira FC started brightly and were given a penalty in the 17th minute. Peter Bleedi stepped up for the visitors but the Stars goalkeeper Samson Joe saved comfortably to keep the score at 0-0. After the miss, the game became more opened with both sides missing couple of chances; however, at the 40th minute mark, Samira FC went ahead through Peter Bleedi who made up for that earlier penalty miss. After the break, the game became more intense as players from both sides were issued couple of yellow cards. The score would remain 1-0 at the final whistle as Samira FC maintained their 100% record to remain second on the LFA Montserrado Championship table with 9 points while the loss placed the Stars in third on the eight-team table with a 1-1-1 record. The Stars in Liberia will look to bounce back when they battle fourth-placed NAS FC on Friday, October 5th at the TUSA Field. Kick off is scheduled for 4:00 PM GMT (12:00 PM EST).